Year 2019 heralds Dakota's 25th year in providing progressively diversified services ranging from its environmental contracting core to general contracting and demolition for private, municipal, and federal entities. 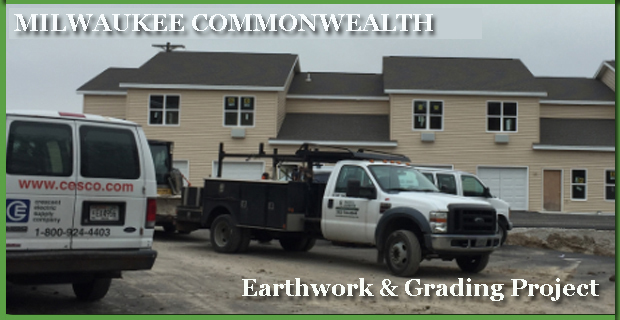 Dakota crew working on a site earthwork and grading project. 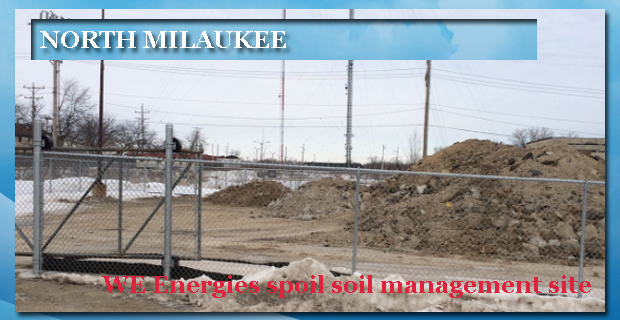 Dakota's crew managing a WE Energies spoil soil management site in Milwaukee. 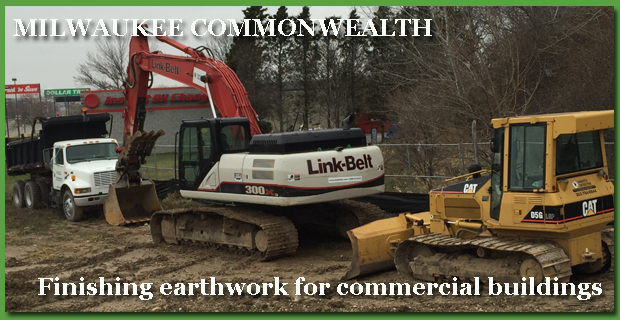 Dakota's crew getting close to finishing the earthwork portion of Commonwealth new development for two commercial buildings in Milwaukee in Fall 2015. 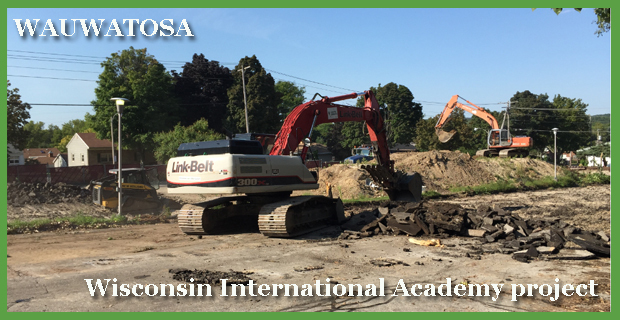 Dakota's crew working on a commercial building demolition project near Ogden and 1st Street at Milwaukee in Fall 2015. 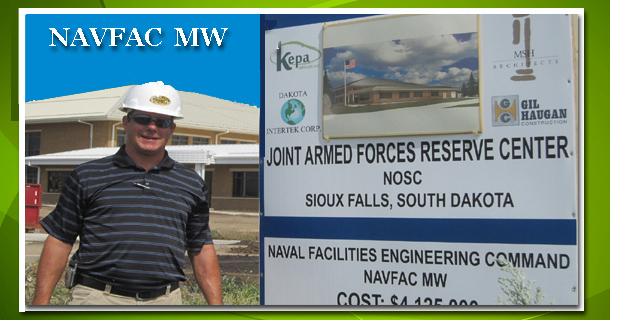 Dakota, along with joint venture partner Kepa Services Inc., completed a contract with NAVFAC MW to design-build a 10,744 square foot Joint Armed Forces Reserve Center building in Sioux Falls, SD. 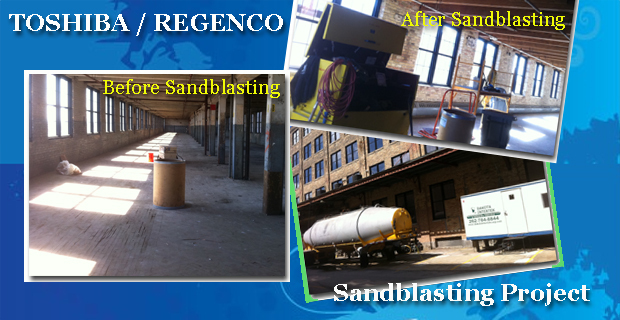 Dakota completed a challenging three-story sandblasting project for Toshiba/Regenco located in West Allis, WI. Dakota worked hard at the Milwaukee County Zoo. 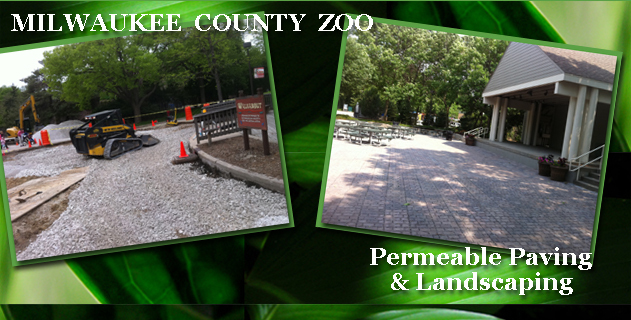 Stop by to see the permeable paving and landscaping artistry completed by Dakota's construction department. 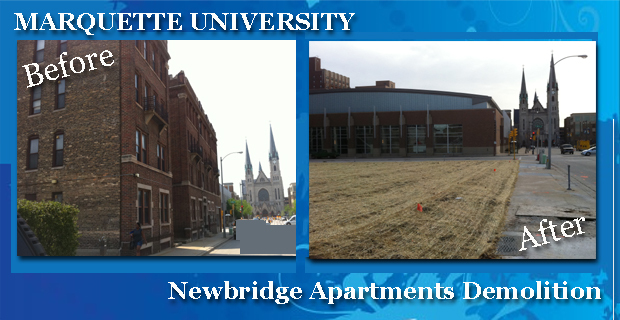 Dakota completed the demolition of the Newbridge Apartments building for Marquette University in Milwaukee, WI. 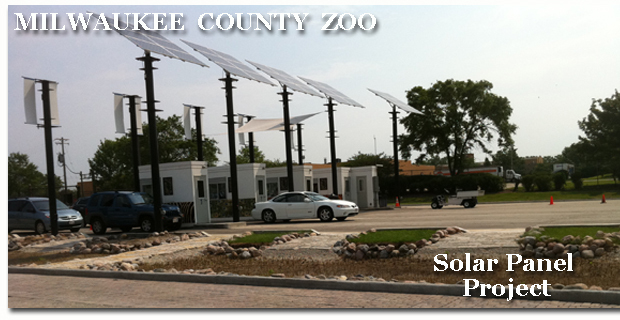 Solar panels were installed by Dakota at the entrance of the Milwaukee County Zoo. Stop by to see! 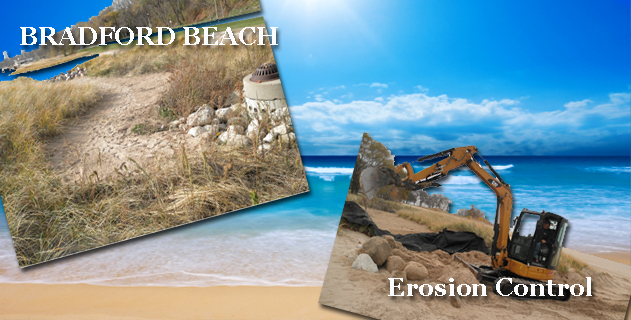 Dakota completed the repair and restoration of the rain gardens and erosion control structures at Bradford Beach following the damage incurred from heavy summer rains and flooding. Welcome to Dakota Intertek Corp.
Demolition, Sitework, Earthwork, grading, remediation, excavation, environmental, Abatement, erosion control, bank stabilization, underground storage tank, clearing and grubbing, selective demolition, governmental facilities, facility safety, facility renovation. 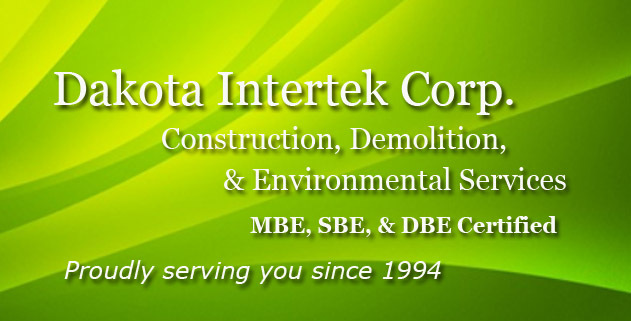 Established in 1994, Dakota Intertek Corp. (Dakota) provides environmental solutions, general contracting and site work services for public and private entities. Dakota has successfully completed projects for a wide variety of government, commercial, and industrial clients throughout the nation. Dakota's vision is to create a long-term shared relationship with all of our stakeholders in our industry. 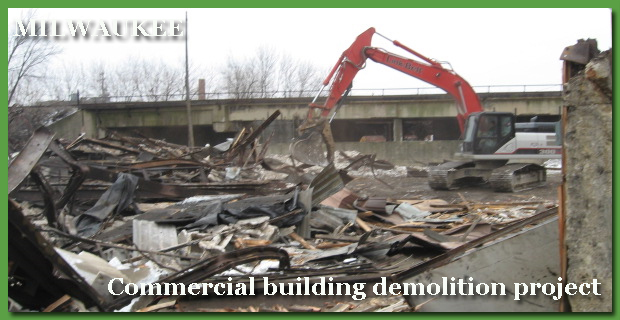 Our mission: Make every challenge into an inspiring experience by actively engaging our clients in the environmental and construction services. Our values: Long term interest over short term gain; safety over convenience; partnership over profit. Dakota is pleased to provide services both small and large, from a residential asbestos abatement and underground storage tank removal to the design-build of a Joint Armed Forces Reserve Training Center in SD. Dakota is proud to be consistently ranked as one of the top twenty minority-owned contracting firms in the state of Wisconsin. Dakota is MBE, SBE, and DBE certified. We continue to expand our services by hiring talented personnel, acquiring new equipment, and through winning challenging jobs in the government and private sector arenas. Dakota is able to provide one-stop shopping services from job inception to completion, with fixed-costs and strict adherence to time frames. 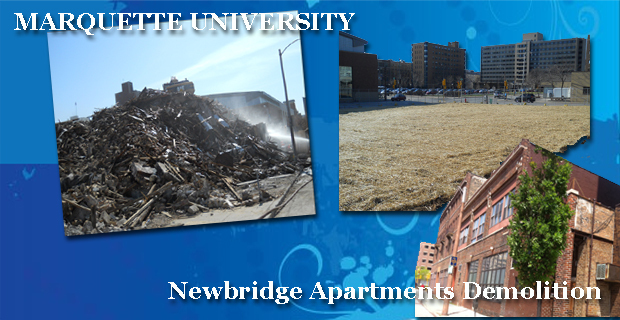 Since 2015, Dakota is also one of the largest full service environmental/demolition contractors for the city of Milwaukee. Copyright © 2016 Dakota Intertek Corp.